This favorite early season jeep tour from Timberline Tours is packed with historical sites, babbling brooks, and alpine vistas. After a short drive on I-70 to Eagle, Colorado, we begin to trace the old stagecoach route to Sylvan Lake State Park and the historic mining town of Fulford, Colorado. Your guide will humor you with tales of lost gold as you pass old cabins, cross rivers, and drive up parts of the actual stagecoach road. 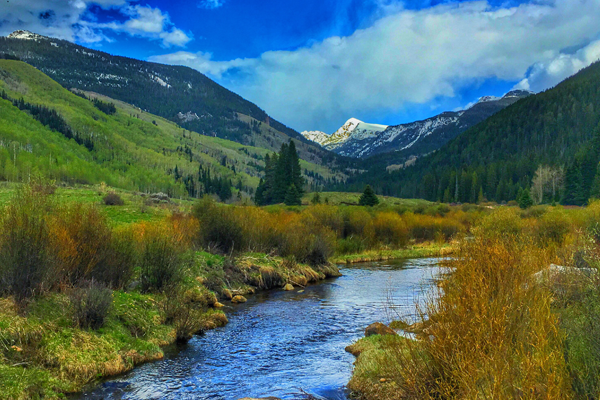 This gorgeous drive follows the Ute Trail and the infamous Nolan Creek deep into elk-inhabited alpine forests. This jeep trip is highlighted by a stop in Fulford, Colorado, the oldest inhabited mining settlement in the area. Fulford is a classic example of a town that boomed and busted along with Colorado’s mining industry. In the late-1800s, the town reached its heyday, with a population of several hundred miners, optimists, and pioneers. Along with them came Fulford’s first buildings: cabins, a hotel, boarding houses, stores, and–of course–a saloon. 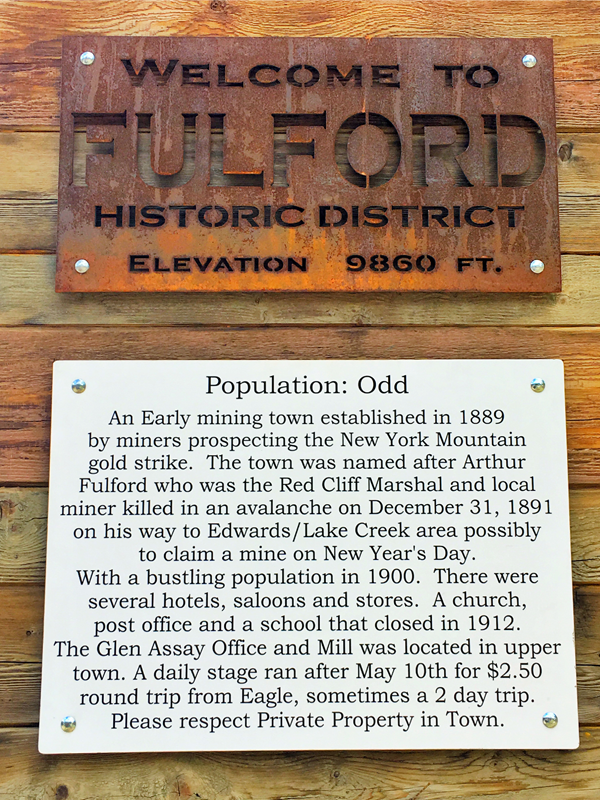 People originally came to Fulford in search of gold, but the 1893 mining season proved to be the height of the rush. Historic newspaper accounts claimed that rich gold ore had been found in the lime on West Lake Creek, but when optimistic pioneers turned up to mine it, they didn’t find what they were hoping for. By the time the winter snows blanketed the town that year, miners were hightailing it out of town. 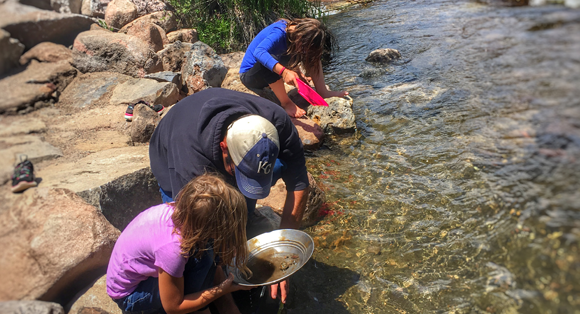 Take some time to admire the 1800s-era cabins and mining relics in the shadow of New York Mountain before hopping back in the jeep to complete an amazing loop with creek-side refreshments at Yeoman Park, where you might even catch your guide panning for gold in the stream after lunch. Whether or not you strike gold on the Timberline Tours guided Jeep tour to Fulford, you’ll find riches in this town’s unique history and timeless beauty. 1.5 hours on the road. 2.5 hours on the trail.